Defending champion Chris Horner and Tour de France winner Vincenzo Nibali are about the only notable absentees from the 69th edition of the Vuelta – which boasts the strongest field of any Grand Tour in recent memory. With the riders set to roll down the ramp for Saturday night’s opening team time trial at Jerez de la Frontera, cycling fans are awaiting what promises to be the most fiercely contested Vuelta in years with bated breath. Should defending champion Chris Horner be there? It’s a bit of a grey area, this. The veteran American was pulled from his Lampre-Merida team on Friday after low levels of cortisol were detected following a recent therapeutic use exemption for cortisone to treat bronchitis. According to UCI rules (the ones that Team Sky followed with Chris Froome earlier in the season) Horner should be eligible to race. But MPCC rules – the cycling ethics body that Lampre, but not Sky, are affiliated to – dictate that a ride be benched until his cortisol levels return to normal. Now, during last year’s Dauphine, Europcar flouted this regulation with regards to their rider Philippe Rolland and were temporarily suspended by the MPCC. It seems like Lampre has acted quickly to avoid both their and Horner’s name being dragged through the same mud as Europcar and Rolland – except this whole episode has merely cast more clouds over Horner’s performances, while highlighting the double standards within the peloton (had the American been with Sky, we’d probably still be seeing him ride clear of his younger competitors in the Asturias mountains this September). Is this a two-way battle between Froome and Quintana? It looks so. This was the battle we all hoped we’d see in this year’s Tour before it emerged that the Colombian would sit out the Grande Boucle in favour of targeting both the Giro and Vuelta. Having won last week’s Vuelta a Burgos, Quintana is clearly showing strong form – although three time trials would seem to give Froome an advantage over the compact climber. That said, it remains to be seen how Froome has recovered from his wrist injuries – and a training crash on an oil patch on Friday shows that the Briton still clearly has the jitters. On paper, you’d expect a rider of Alberto Contador’s calibre to throw down the gauntlet – particularly in his home tour – but the Spaniard only declared himself fit enough to race last weekend, and it would be a remarkable turnaround should Contador win the Vuelta so soon after fracturing his shin. The riders who finished alongside Quintana on the Giro podium – Rigoberto Uran and Fabio Aru – will look to leave their mark. They will certainly be fresher than some of the riders who saw their Tour hopes derailed through injury or circumstance – but whether they will have the class to shine in such a strong field is still in the balance. Which of the season-savers will feel the most pressure to deliver? Since switching to August/September 20 years ago, the Vuelta has always been something of a last chance saloon for riders looking for redemption after a poor showing or injury in the Tour. This year, the list is even more lengthy and illustrious than usual: to Froome and Contador you can add Spaniards Joaquim Rodriguez (who has struggled this season ever since crashing in the Ardennes) and Valverde (a lacklustre final week saw the Movistar whippet fall off the podium in France), Ireland’s Dan Martin (a victim of a nasty spill on the opening day of the Giro), his American Garmin team-mate Andrew Talansky (a frequent faller in France), Belgian Jurgen van den Broeck (decidedly average after a hefty fall in July) and forgotten Dutchman Robert Gesink (whose career looked in jeopardy earlier in the year after being diagnosed with a heart complaint). Given the extent of his injuries, Contador should be feeling the least amount of pressure; it’s a minor miracle that the Tinkoff-Saxo rider is there at all, and should he struggle the knives will not be out. Rodriguez has had a very poor season and rode the Tour to condition himself for his main target of the season, the Vuelta. Now that it’s time to deliver, Purito, who has seemed out of sorts since missing out on the rainbow jersey last autumn, could struggle with the pressure. Will any new GC contenders emerge? Given the quality of the field, it’s hard to see any new stars emerging for the top ten let alone the podium. This year we saw an entirely new Tour podium in Vincenzo Nibali, Jean-Christophe Peraud and Thibaut Pinot, while the Giro saw a maiden win for Quintana and a coming-of-age third place for Aru; can anyone realistically repeat such a feat in Spain? Frenchman Warren Barguil – a double stage winner from last year – may have had high hopes but even a top ten for a 23-year-old very much out of his comfort zone while riding time trials is perhaps too much to ask (especially with the sudden extra expectation from the French fans after their gourmet July on home soil). Contending for the GC is perhaps a bit beyond him now, but watch out for Eritrean Natnael Berhane: the Europcar all-rounder – who won the Tour of Turkey last year and the Tropicale Amissa Bongo this year – is a real talent. Also riding his debut Grand Tour, Britain’s Adam Yates (Orica-GreenEdge) will target stage wins after a superb first season as a professional (he won the Tour of Turkey this year and finished sixth in the Dauphine). Will Peter Sagan go through another Grand Tour without a stage win? With four ramped finishes and six likely bunch sprints, it’s almost inconceivable to see Sagan come away from the Vuelta without at least one stage win to his name – particularly in the absence of big guns Marcel Kittel, Mark Cavendish and Andre Greipel. Frenchman Nacer Bouhanni will have the edge on the Slovakian on the flat finishes, but those slightly uphill numbers should see Sagan and John Degenkolb (Giant-Shimano) go at it hammer and tongs. Keep a look out for 2013 Milan-San Remo winner Gerald Ciolek (MTN-Qhubeka) and the in-form Andrea Guardini (Astana) for the bunch sprints, mind. 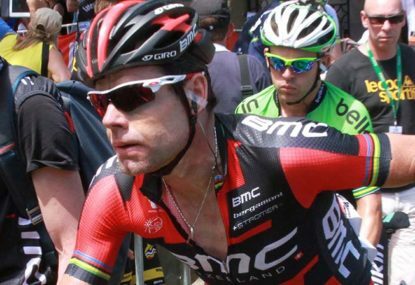 Can Cadel Evans put in a Horner-esque performance? Last year Horner stunned us all with his dominant climbing as he defied logistics to become the oldest Grand Tour winner in history. At 37, the Australian veteran is still five years younger than Horner – although he has been in gradual decline since winning his first and only Grand Tour in 2011. There is no way Evans can not only defy his age but also such a strong field to finish on the podium at Santiago de Compostella – but a top ten is possible if he rides conservatively, while a stage win or two would be a fitting sendoff for one of the popular figures of the pro peloton. A lot depends on the performance of BMC team-mate and fellow Australian Rohan Dennis. A stage win en route to finishing second in the Tour of California showed Dennis is ready to take the baton from his older compatriot: the question is whether the handover takes place over the coming three weeks or if Evans holds on through gritted teeth for a final dart down the finish straight. How many farewells will the Vuelta throw up? Evans has yet to confirm his retirement from the sport but rumours this summer suggested the Australian would call it a day on home soil after next January’s Tour Down Under. That would make the Vuelta his last major tour – although it’s fair to say that should he have a storming ride, he could well be tempted to ride on (whether at BMC or elsewhere). One rider who is definitely hanging up his cycling shoes is Scotland’s David Millar. The Garmin-Sharp veteran was hoping to make his farewell during the Tour – which started with three days in the UK – but was famously snubbed by team manager Jonathan Vaughters. A five-time stage winner in Spain, Millar will hope to make that six – if only thanks to an opening team time trial win – this month. Tom Boonen (Omega Pharma-Quick Step) hasn’t ridden a Grand Tour since the 2011 Vuelta and hasn’t finished one since the 2007 Tour. In fact, although this will be Boonen’s 13th Grand Tour, the Belgian has only finished three of them – despite notching eight stage wins (including two in the 2008 Vuelta). With Boonen winding down his career and very open about his lack of motivation for three-week races, it’s not inconceivable to suggest that this may be an adieu of sorts for the 33-year-old. Could the same be said of Fabian Cancellara, Boonen’s big cobbled classics rival? Cancellara hasn’t finished any of his previous four Grand Tours and was very much out of sorts in July. Should be miss out to Tony Martin once again in the two time trials, Spartacus may shift his focus to the classics and shorter stage races from next season. There’s a lot at stake for Dutchman Robert Gesink in this Vuelta; having undergone heart surgery earlier in the season, the 28-year-old will use this race as a litmus test for his future participation in the sport. Should he feel in bad condition, you would hardly fault any likely decision to draw a curtain on demanding three-week races. Out of contract at the end of the season, a poor performance by Damiano Cunego maay make things tricky for the Italian 32-year-old to find a new team. He’ll be riding this race as if it were his last. Finally, what about that man Horner? This latest setback in the veteran’s career also puts his future participation in the sport in jeopardy. Now 43, Horner only signed a one-year deal with Lampre-Merida, who have hardly got much bang for their buck this year. Who has the best chance for an Australian stage win? Sprinter Michael Matthews (Orica-GreenEdge) is certainly the best bet for the Australian contingent on paper – particularly with those four ramped sprint finishes. ‘Bling’ showed his class in the Giro – and although his only win since has come in the time trial in the Tour of Slovenia, the 23-year-old will be targeting both the green jersey and sprint wins in Spain. GreenEdge team-mate Simon Clarke will look to add to his 2012 Vuelta stage win with an attack in the mountains, while Lotto-Belisol’s Adam Hansen – riding his tenth consecutive Grand Tour – will target a second Vuelta win in successive years. Nathan Haas has been improving steadily and you get the impression that the Garmin-Sharp rider’s first major stage win is just around the corner. Evans and Dennis will be motivated for BMC and I expect at least one of them to stand atop a podium during the next 23 days.